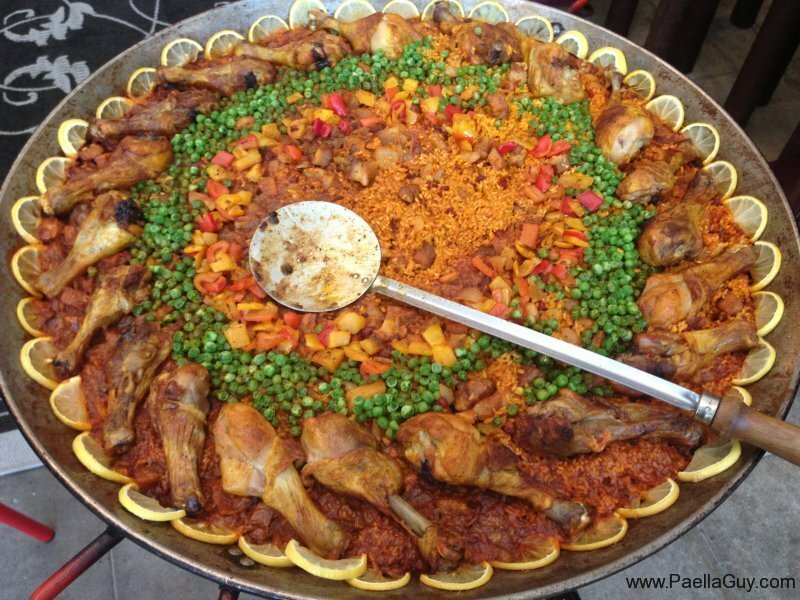 If you love paella you'll like this recipe. Enjoy with your favorite vino, Salud! First we need to precook the pork, chicken and chorizo by stir frying until browned for 10-12 mins. Give the diced bell peppers a quick stir fry 2-3 mins. 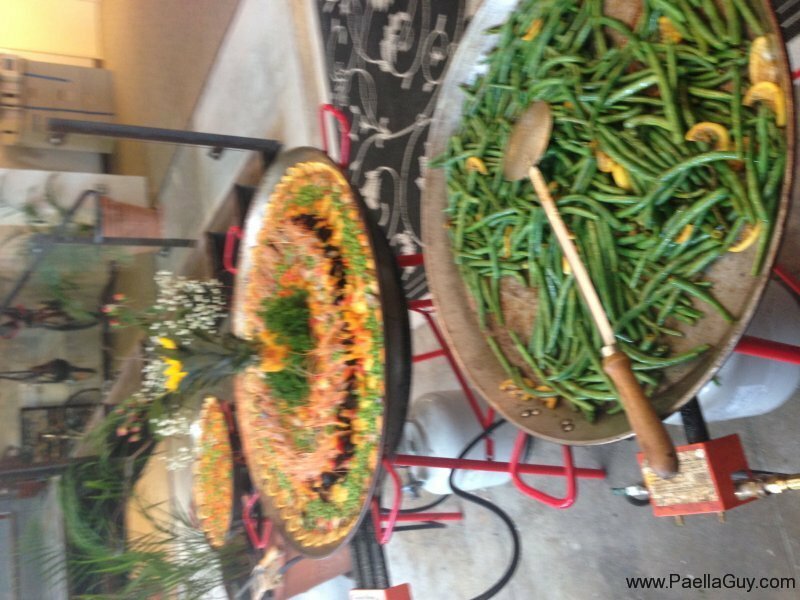 Pour olive oil into your heated paella pan. Breakup Thai peppers and saute in hot oil. When oil is hot, put in onions and stir until translucent or 50% caramelized. Put in garlic and stir fry for 2-3 minutes more. Add the precooked pork, chicken and chorizo and incorporate with onions. Add the sofrito and wine cooking until wine has evaporated and sauce has thickened. Add the chicken/seafood stock and bring to a rolling boil. Mash the saffron threads into a fine powder and add to boiling stock. Begin adding rice around pan in uniform even strokes so as to not pile rice in one location. Be careful to maintain even thickness of rice across surface of pan. Next begin adding the mussels, clams and prawns, distribute evenly throught paella pan. 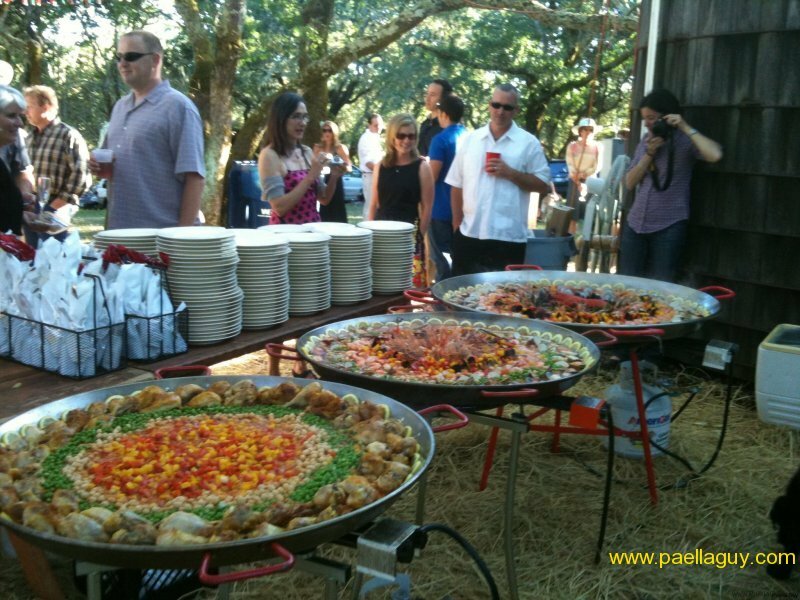 At this point turn down the heat on your paella burner or stove by 25%. Add the peppers and peas evenly across the pan. Finally, the lemon wedges can be placed on the paella as a garnish. 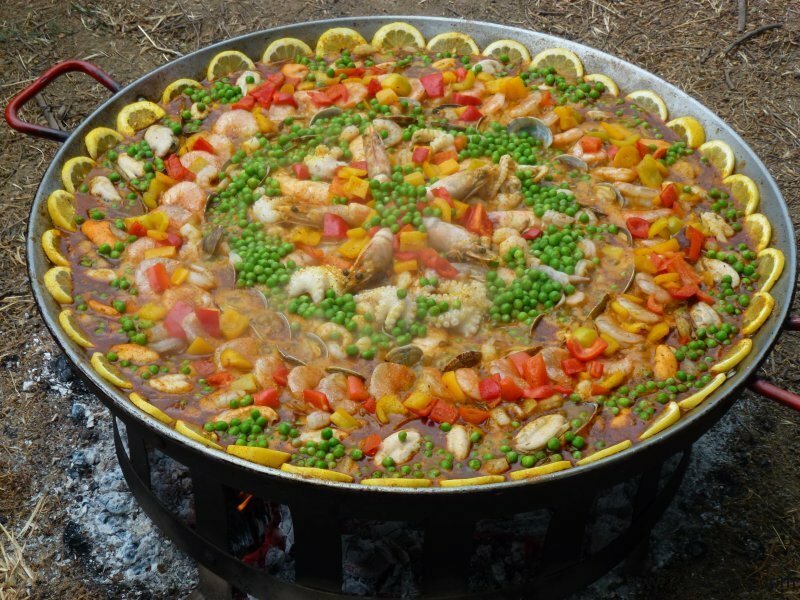 As the paella cooks, keep an eye for dry spots and add a little stock to avoid burn spots. 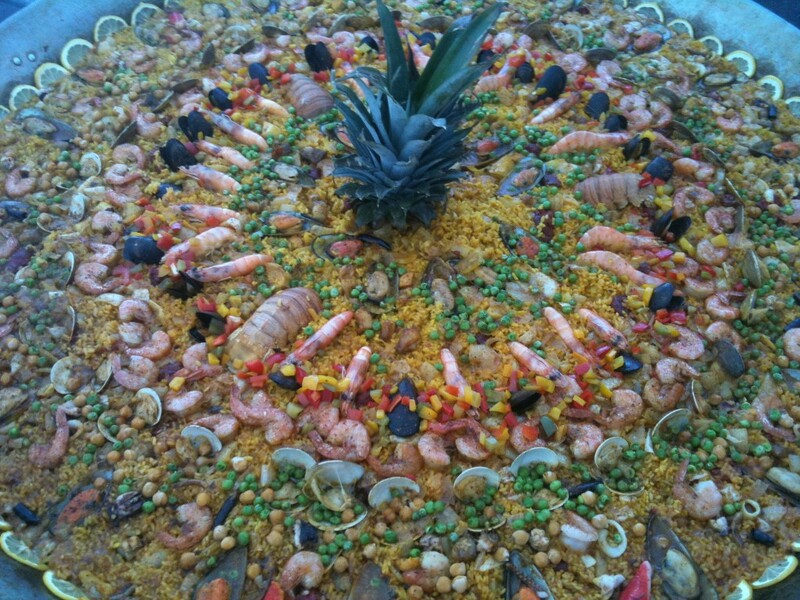 As the paella absorbs about half the liquid you can turn down the heat another 25%. Continue cooking until all the liquid has been absorbed, taking care not to scorched the paella. 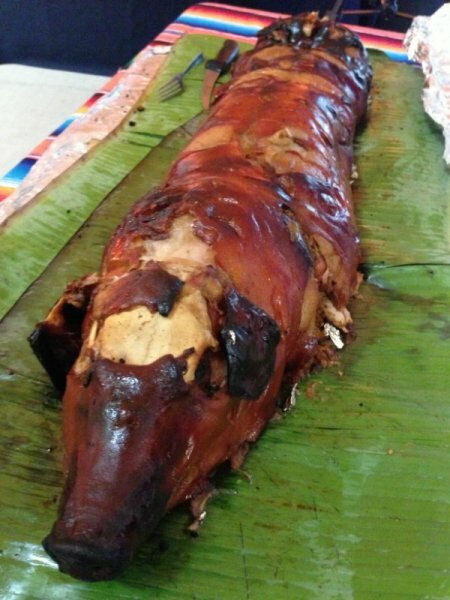 Remove from heat and enjoy with a nice glass of vino, salud!